*Played in episode 13 when Shi-won told Tae-woong her heart skips for someone else. I love “Answer Me 1997” for many reasons. First, its got the nicely balanced trifecta of writing, directing, and acting. The three parts meet each other at the center to create an assured and purposeful story. Dramas like this one are rare; the story knows where it’s going and how it wants to get there. We are carried along with the narrative and thrust deep within its heart instead of left meandering- grasping at threads that will never lead anywhere. Second, this drama not only speaks to a generation but also across generations. There is an added delight to knowing the cultural and generational references, sure, but the story is contemporary, not historical. Third, and this is a very personal reason, “Answer Me 1997” made me appreciate my parents anew. I’ve tried over and over again the past week to write about this drama in different formats but each time I ended up crying. I cried more trying to write about this drama than when I watched the drama itself, and trust me, I cried like a baby during some episodes. Shi-won’s childhood is not my childhood- I didn’t live in Korea, I wasn’t in a fanclub, I didn’t have a best friend secretly in love with me, and I didn’t have the same warm relationship Shi-won has with her parents. But the drama doesn’t ask me to live her life; it makes me relive my own. I think I might be in the minority about this but the relationship I care most about in the drama is Shi-won’s relationship with her parents. 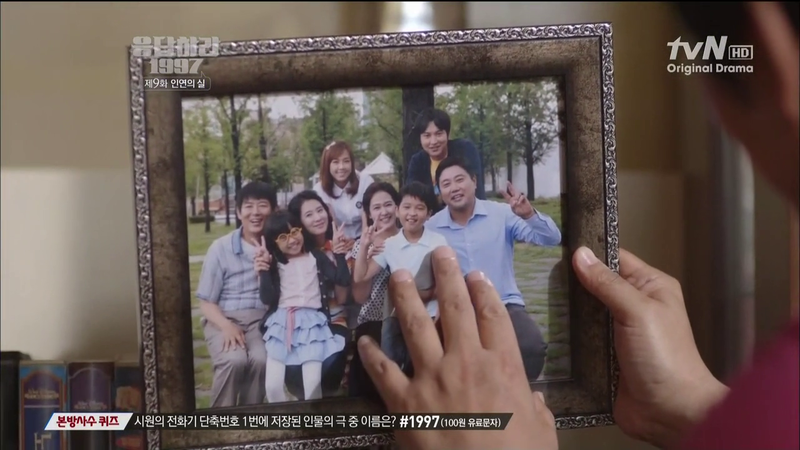 Then it’s the relationship between Yoon-je’s family and Shi-won’s. Then it’s the friendship between everyone. Then it’s the relationship between the brothers, and in last place, surprisingly, it is Yoon-je’s love relationship with Shi-won. Don’t get me wrong, I think they are adorable together but I will admit to rooting for Tae-woong in the beginning (I’m prone to the secondary lead syndrome 😉 ). Now with the final episodes left, I’m pretty sure that Yoon-je is Shi-won’s husband, which makes me happy. But it isn’t the love relationship that moved me to uncontrollable tears. Episode 6 was one of the best episodes. I cried so much, I could barely open my eyes the next day. This drama killed me with all the familial relationship. There was just so much love. Shi-won and her dad. The best father-daughter combo. I just love these brothers. Yoon-je looks up at Tae-woong with such adoration while Tae-woong looks at Yoon-je with such pride. This is all I can say and write about Answer Me 1997 because I can’t cry anymore. I just wanted to get this post out before the final episodes aired so I wouldn’t feel compelled to write a comprehensive review and suffer through all the crying again. So I’m just gonna tuck this drama in a little corner of my hear and say goodbye now. Thanks “Answer Me 1997,” for reminding me of that the little Tony An fangirl whom I thought I had left behind and forgotten, is still there, safe in my heart. Thank you “Answer Me 1997,” for reminding me that the future from 2012 is just as bright as it was from 1997. Thank you. One day in August 2012/1997. TonyAn1997: What do you want to know? TonyAn1997: Can you answer my question? Joonni2012: That’s all I wanted to hear. Hi Joonni, I’m so glad you fell in love with this drama too. This is the crack drama after the very emotional QHIM. This drama hit all the right notes in every way, from the script, to the directing, to the 1990s props (who can forget pager? or the Walkman? Or the slow internet connection), to the relationships in the drama, and lastly the cast. Love all the 90s stuff. Makes me want to go treasure hunting through my closet. I wonder if I still have my beeper and walkman somewhere. and the darned Tamagocchi!!! I didn’t manage to get one, it was too un-cool to have one in high school in 1997! (my sister did have one though, and fed it religiously) . i still have that BBS and modem dial tone in my head. i never had a pager either, but i do recall our very famous Hutchison Whampoa (5 whole minutes of Leon Lai during commercial break!) we turned on the TV JUST to watch that darned commercial!!! (I live in Hong Kong). Auggh Joonni~ I also got teary reading this post. So you were An Seung boo-in too like uri-gashina. I could only imagine how awesome it is for you to watch this drama. Answer Me 1997 wasn’t made for me, I only recognized 2 songs that they used as their BGM, Mr. Big’s More Than Word and Coldplay’s Nobody Said It was Easy, but since I always love coming of age story and childhood BFF (or in Siwon’s lingo: testicle buddy) turned hubs, I gave it a shot. I was hooked from the first episode even though I watched it raw. Everything just felt so right. You know like when you see an abstract painting, you don’t have a clue what’s it all about but it just pulls you in. I anticipated the cute and angst of those intense period of our life, but they gave me more. I picked up the phone to call my mom after I watched last week episode (Sung-jae’s such a dear). And for so long Homer Simpson has been the best dad character for me, but now he has found his match, Sung Dong Il is absolutely brilliant. I love Hyung too, I was bawling with Yoon-jae last night. And of course Kang Joon-hee. The good little brother, the good friend, smart, kind Kang Joon-hee. Your regular boy-next door, he just happens to be gay. 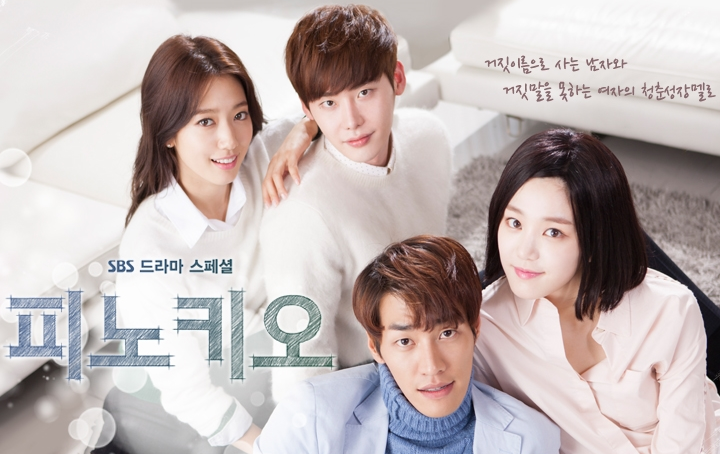 I hope one of TV stations in my country will buy this drama. I doubt it will change the majority perspective on homosexuality but I’m sure many will be touch with Hoya’s character and hopefully stop passing judgement easily. Also I’ve been saying “I wanna learn Korean, I wanna learn Korean” but I’m gonna do it for real this time, no more passable sub. I wouldn’t go as far as go call myself as an An Seung boo-in (didn’t even know there was such a thing) because I wasn’t as fanatic as Shi-won. But still I squealed to hear all the H.O.T. songs and pictures. I called my mom after last week’s ep too- to thank her for keeping me in contact with Korean culture, even though I grew up in the U.S., so I can recognize all the 90s Korean songs and culture. Fighting on learning Korean. I love learning languages so it makes me excited to hear others are learning them. No need to apologize for essay. Love! 2) when mom and dad sent SW off to school, how Dad was trying to say goodbye but couldn’t. i cried so much that i had to hit the pause button. although i never really left “home” for college, i still cried. ok, the third teary eye was the night before the pre-military school interview and YJ asked JH who he liked. and the time when after the HOT thing and they were both tired, sprawled over books in the classroom and JH peered at YJ. i like “doomed” first loves. JoonHee-ya!!!!!!!! Me, too. Didn’t cry during any of the SW-YJ scenes. But I cried like a baby during those first two scenes you described. are we wired differently or have we watched too much sappy dramas now to cry over the OTPs that we (almost certainly know) will end up together? actually AM 1997 was just in general so much better than expected, partly because it was more reality rather than fantasy – so lacking in recent K-drama. Except you don’t really have such perfect guys like TW and YJ in real life. And where are all the JoonHee’s in my hospital or even my class?! Darn!! Are you watching anything other than Faith and Nice Guy? I need to withhold for a while – have LOTS of work to catch up on…. Watching TTBY and I think, Arang. Trying to watch other dramas one episode here and there. JUST TOO MANY!!!! I think I got teary in almost every scene the family (+YJ) interacts. It brings such warm and fuzzy feelings into my heart. There was more than one time I had to say it out loud: “gosh, mom and dad are just EXACTLY the same”. I got teary just from your post! 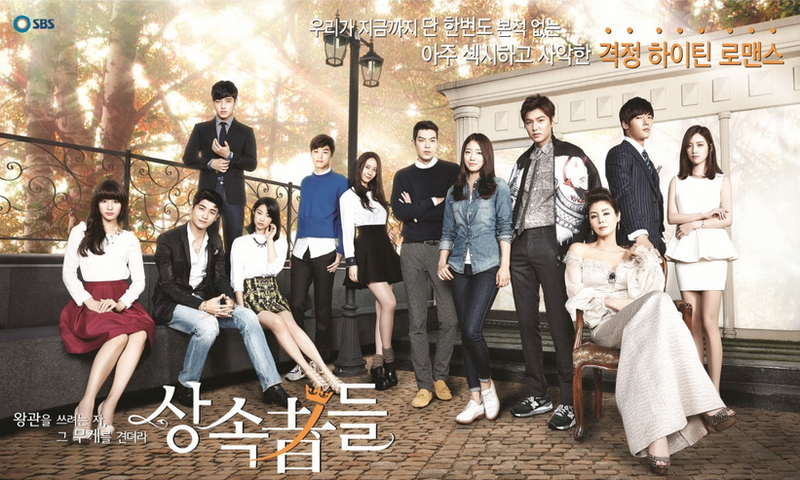 heyyy i think you should watch this drama called may queen its realllyyy good. i even found myself crying at one point. I didn’t live through any of the reality depicted in Answer Me 1997 (guilty of being Americanized), but I still find myself getting so invested sincerely. That rabid fangirl mentality – totally foreign to me, but I totally appreciate it in its own way. The family relationships and friendships, utterly precious. It is a testament to Answer Me 1997 that someone as Americanized as I am would feel so protective of this show. This drama as been so great at reaching the core of human emotions, rather than rooting them to specific cultural contexts, allowing viewers from all ages and places to connect. I just watched it in 2014 *poor me* and all I can say, this drama is one of the most touching and great and beautiful and of course unforgettable. I agree with you that the writer, director and casts are genius! Seriously! You can see that nowadays dramas are easy to guess. You can even guess the dialogues as I always do. But this one is different! 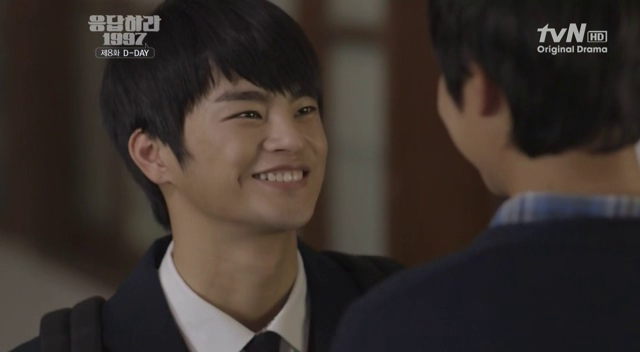 Seo In Guk wasn’t my favorite but everything’s changed just only in a nite! hahaha. 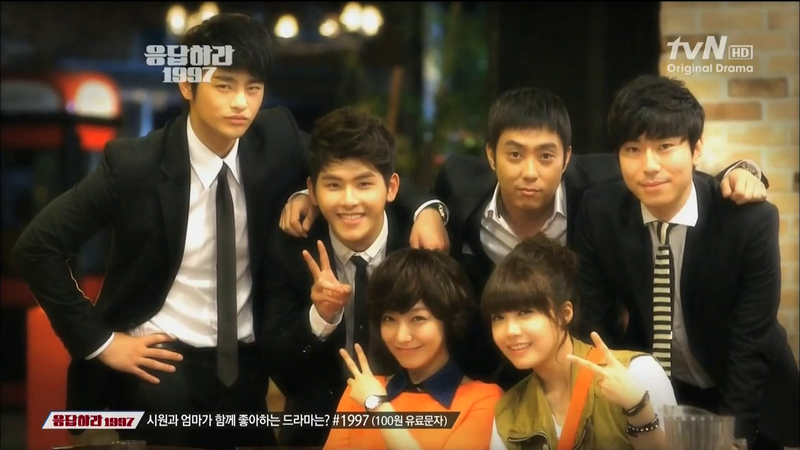 Reply 1994 is also great, but this one obviously unforgettable. The story is quite simple but sooo trueee in its own way. I love it!